Teaching Independence is the work of teachers of nontraditional college students. Writers always face a pair of related questions: what is my task and who is my audience? Teachers at any level must consider the same questions every time they change anything in their work. As a teacher, I tried to keep in mind the strengths and vulnerabilities of nontraditional college students whenever I selected a new text or planned a new assignment. Community college teachers (and teachers of nontraditional students in any setting) teach more than course content. They teach independence. And the stakes of this work are high because so many college students attend community colleges (nearly half, according to data from AACC), and when those students go out into the workforce, they impact their communities directly and indirectly. We need those first-generation students to contribute to the economy, to fill key job roles, to strengthen their community, and to raise and provide strong models for their children. In most cases, those successful students blend invisibly into the world around us, leaving us unaware of how long and complicated that journey can be. Other graduates of community colleges become renowned in their fields, but we still might not know about the role that community college played in their story—as with astronauts and artists, winners of the Academy Award, the Pulitzer Prize, the Nobel Prize for Chemistry, and, recently, Rhodes Scholar Hazim Hardeman, who began his postsecondary studies at my alma mater, Community College of Philadelphia. I counseled and taught nontraditional students for nearly 40 years at CCP. Because of my years of collaborative (team) teaching and a range of non-academic learning experiences that included sports, music, and creative writing, I knew firsthand about the importance of social factors in learning. Letting the field of psychology drive my writing courses, I tried to show students how experts in the field explained learning—and offer them the opportunity to apply those experts’ concepts to their own lives. As teachers know, the most telling feedback a teacher can hope for is to hear life stories directly from successful former students when they return to campus. Their words may concern other courses, jobs, homes, and families, but what they are talking about is independence. Without community colleges, so many of these successes never would have happened. And our country would be the lesser for it. 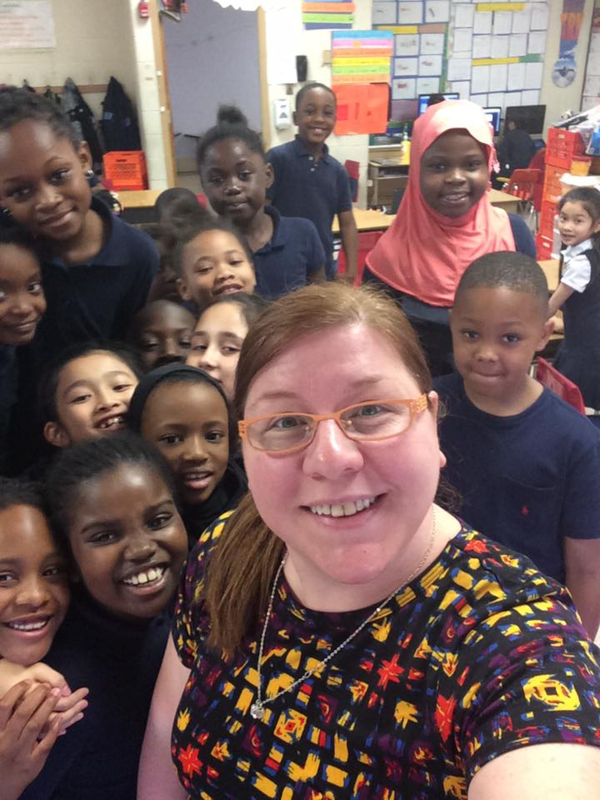 Stephanie Kroupa Sheridan, former student of Ned Bachus, pictured with her Philadelphia School District class. Most writers would have simplified the story, somehow, but the underlying metaphor of learning how to learn operates in every dimension of what Bachus has to say. After all, learning is connected to the resilience required of life itself. –Patti Marxsen, author of Tales from the Heart of Haiti, Helene Schweitzer: A Life of Her Own, Island Journeys, and others.